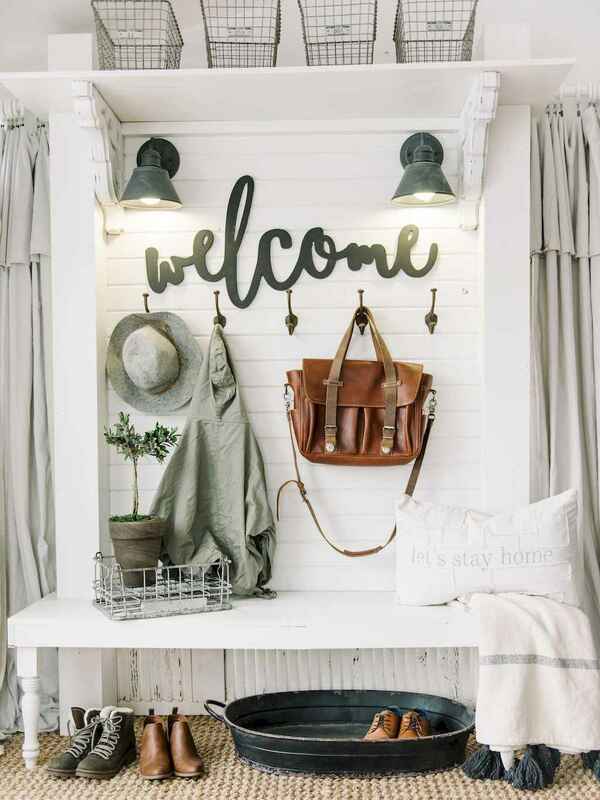 Rustic farmhouse entryways that are really welcoming and inspiring and that are prefect to finish up your farmhouse design. To create one you’ll need shabby chic or just rustic furniture, wood pieces and baskets for storage. Entryway is a transitional space, a bridge between the outside and the indoors. It serves as an ideal space for a few personal flourishes. If you want to fill your guests with anticipation for what’s on the other side of your door. Please see our collection of farmhouse entryway decorations to fire up your ideas.